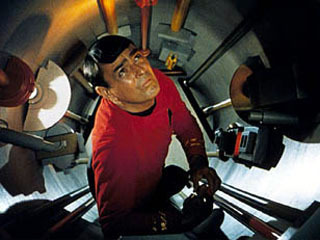 Montgomery Scott, from the Star Trek fan site. You remember when Scotty, the engineer on the Enterprise always came up with a solution to catastrophic damage to the ship in a third the time he told Kirk it would take? Or that he was “givin’ it all she’s got” when Kirk asked for more power and found just enough to save the day? So it’s fairly easy to manage your customer’s/user’s expectations and then exceed them as long as you make both propositions reasonable and that you deliver a quality product/service in whatever time frame you set. Let’s say that you can build a site in 3 weeks and you tell your customer that it will take you 6. If you deliver something stunning in 4 weeks, great. But if you deliver something shoddy in 4 weeks, not so great. I’m sure that to get the business, you, your portfolio or your website made promises on your behalf regarding the quality of the product or service that you wold perform for them. Remember that expectations contains many dimensions. A variant: You deliver a site in 4 weeks when you said it would take 6. Now you customer may have doubts on the value of the product that you delivered, thinking it was something you cobbled together. This is when you’ll have to defend the quality of the product and get them to refocus on the positives of being ahead of schedule. It’s best to use this practice judiciously as you will have set a precedent for future interactions. The client may be inclined to give you less time to complete a project because you did such a great job beating the last deadline. Take care not to put undue pressure on yourself and your team to exceed their expectations again. You merely have to deliver when you say you will and the result will still be a net positive. Does anyone have any examples when this worked or backfired?